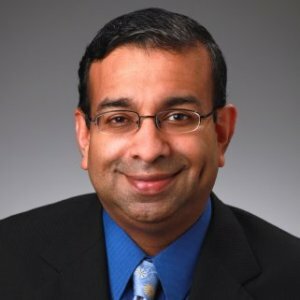 Sridhar Balasubramanian's teaching and research interests are in marketing and technology strategy, innovation and growth, services design, e-business, customer relationship management, game theory, and the management of competition. He specializes in bringing the tools and concepts of market-focus and customer-focus into other functional areas, including the management of the human resource function. He has been a keynote speaker at national conferences on the topics of developing a customer- and market-focus, and customer-focused innovation and growth. Dr. Balasubramanian has been recognized for his pioneering research on how the Internet and mobile channels are reshaping the worlds of business and marketing. Dr. Balasubramanian works actively with the corporate world. He has conducted executive development programs for and/or consulted with numerous organizations in the U.S., Africa, Asia, Europe, and South America. Before beginning his academic career, he was area sales manager for India’s leading food manufacturing and marketing company. He has advised start-ups and existing firms on issues related to becoming customer focused, the design and implementation of marketing strategy, building creative thinking and innovation skills, and the pursuit of profitable innovation and growth. He served as associate dean of both the full-time MBA Program and the online MBA@UNC program before he was named senior associate dean for all MBA programs at UNC Kenan-Flagler. Poets & Quants profiles Professor Balasubramanian as one of the world's best business school professors. Sridhar Balasubramanian advises workers to consider their career journey as whole before thinking about leaving a job for another one. Professor Balasubramanian attributes the sharp increase in MBA applicants at UNC Kenan-Flagler to the school’s strong career outcomes for graduates, new academic concentrations, and more targeted outreach by admissions. In order for Briogeo Hair Care to become a well-known brand, Professor Balasubramanian says entrepreneur Nancy Twine should keep in mind two questions: How does the product differentiate itself? And what are the distribution channels? The number of applications rolling in to UNC-Chapel Hill Kenan-Flagler’s MBA program increased from the previous year by 28 percent, a result of better "storytelling." clean water technology in a developing economy. The study covers over 1,000 households in Malawi in Southern Africa, distributed across different pricing and retail conditions. Co-principal investigators include Lisa Jones Christensen of UNC Kenan-Flagler and Enno Siemsen of the (University of Minnesota. Professor Balasubramanian explains how a "modern marketer" must be skilled in both the analytical and creative side of marketing in order to thrive in the business sphere today. Professor Balasubramanian compares the effectiveness of philanthropic and for-profit business models serving some of the poorest consumers in the world in a longitudinal field study. 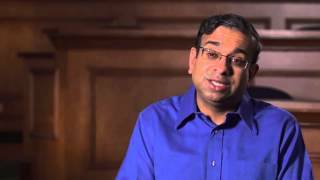 Professor Balasubramanian is interviewed on the best ways for an organization to innovate.